The Office of Thai Commercial Affairs in Seoul will host two major events — "Thainess to the World Festival" and "Kitchen of the World" — as part of "Thailand Festival 2006" to be held in Seoul from June 30 to July 23, 2006. "Thainess to the World Festival," a promotional event for Thai food and handicraft products and "Kitchen of The World," a Thai food promotion event, will be jointly organized by The Office of Thai Commercial Affairs and the Royal Thai Embassy. "Thainess to the World Festival" will be held at Shinsegae Myeong-Dong Department Store from June 30 to July 6, 2006 and at Shinsegae Gangnam Department Store from July 7 to July 13, 2006. "Kitchen of the World" will be held at the Sheraton Grand Walkerhill between July 14 and July 23, 2006. The events are sponsored by the Royal Thai Embassy in Seoul, Thai Airways International in Seoul and all members of Team Thailand such as the Office of Labor Affairs, Military Office, and Tourism Authority of Thailand. The opening ceremony will be held on the first basement level of Shinsegae Myeong-Dong Department Store at 10 a.m. on July 1, 2006 with the attendance of Thai Ambassador to Seoul Vasin Teeravechyan. The top Thai envoy will deliver a congratulatory speech during the ceremony. Performance of traditional Thai dance will follow the opening ceremony. "Thainess to the World Festival" is aimed at promoting sales of a variety of Thai products and at promoting the popularity of Thai dishes among Korean people on the occasion of the 60th anniversary of His Majesty King Bhumibol Aduliyadej's accession to the throne. In the "Thainess to the World Festival" such Thai dishes as rice paper rolls, fried rice with shrimps, papaya salads, fruit juices, Thai noodles (Pat Thai), Poppia, and fried shrimp cakes will be prepared. For food items, Thai fruit, Thai Chang beer, spices & sauces, noodles, and various kinds of canned food will be available for sale. 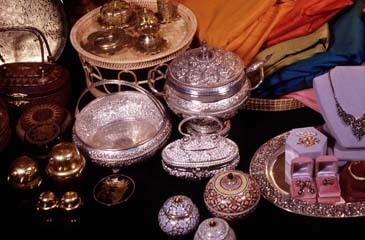 Silver accessories, interior decorative items, and lady garments will also be introduced. During the festival, three rounds of traditional Thai dance will be performed every day and Thai food by two authentic Thai chefs will be presented. "Kitchen of the World," Thai cuisine promotion event, will be held simultaneously on July 14-23, 2006, at "The View" room and "Four Seasons" room of the Sheraton Grand Walkerhill. Set menu and buffet style Thai dishes will be prepared by Thai chefs. Thai food and Thai cuisine from the past to the present are distinctive in their charms and characters. Thai cuisine is a proud heritage of the Thai people that they believe is second to none. And it has been handed down through generations. Apart from the delicate blend of tastes and the rich nutritional value, the arrangement of Thai food and the decorations with fruit and vegetable carvings make it all inviting and tempting. At the same time, Thai food and Thai cooking reflect the wisdom and culture of the Thai nations. 1 p.m. / 3 p.m. / 5 p.m.
July 1, 10 a.m. / 3 p.m. / 5 p.m.
July 2, 11:30 a.m. / 3 p.m. / 5 p.m.
Place: B 1 (if it is raining), Outdoor Stage (if it is sunny). Venue: Sheraton Grand Walkerhill's The View and Four Seasons rooms. For details please contact Thai Tourism Authority's Seoul Office at 82-2-779-5417~8 or the Office of Thai Commercial Affairs at 82-2- 795-4446.